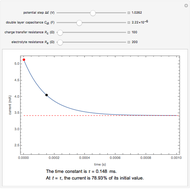 The rate at which the charged interface of an electrode (the electrical double layer) is established is described by the time constant of the electrochemical cell. 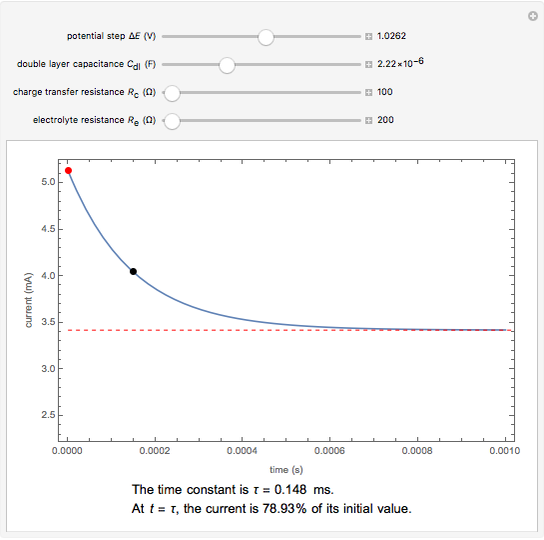 This Demonstration shows the impact of on the current flowing between the electrode and solution in response to a potential step. 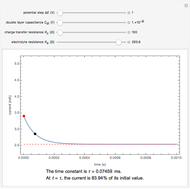 The double layer formed by contact of an ionic solution with an electrode acts as a capacitor. During a potential step experiment, a non-faradaic current is discharged at the electrode surface. 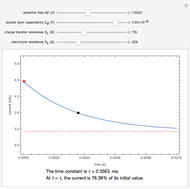 The time constant determines the rate at which the charged interface of an electrode is established. 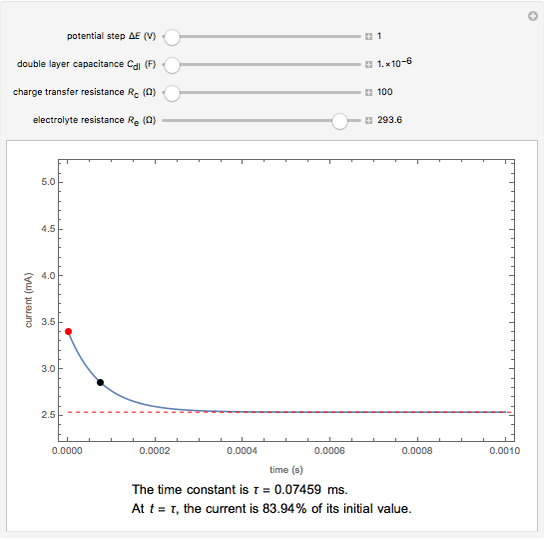 Quang-Dao Trinh and Adam Coyne "Time Constant in an Electrochemical Cell"